The Ebricks.com Window Hardware guide offers information about companies such as Signature Hardware and Rustica Hardware. Online store selling Baldwin, Emtek, Rocky Mountain, and other brands of hardware for doors, windows, cabinets and furniture. Hard to find items such as barn door rollers and speakeasy grills. Also sells through a showroom in Utah. Formerly known as Southwest Doors, this company started as a maker of custom Southwestern architectural doors, and today makes a full line of high-end entrance doors, windows, interior doors and hardware. Maker of high-quality antique reproduction hardware. Company uses 18th and 19th century originals as patterns for door and window hardware; as well as furniture and cabinet hardware. This online merchant deals exclusively in authentic antique hardware for doors, furniture, windows. Also antique bathroom accessories, such as Victorian toilet paper holders. This online retailer has just about any bathroom plumbing or fixture for your period or or contemporary home. Selling a combination of antique and reproduction items, Bathroom Machineries also offers restoration and retooling of youg antique plumbing. Vintage Hardware is owned by a former English antiques dealer and is an approved vendor of the White House and many museums. Antique hardware designs are reproduced in solid brass in designs from many eras including Neo-Rococo, Victorian, Art Deco, Craftsman, and Bungalow. Restored antique and reproduction gas and electric lights are sold online. Since 1954, custom drapery, curtains, and valances, hand-made in America. Orders shipped in 7-10 business days. This Falmouth, Maine, store sells new, reproduction and antique hardware, plumbing and fixtures for every room in your home. Many styles from Victorian to contemporary. This Berkeley, California retailer is specializes in reproduction light fixtures, shades, glass, medicine cabinets, Craftsman style doors and curtain rods. Online retailer of hardware for everything from cabinets to windows to clocks to harpsichords. Styles from historic to modern. Maker and seller of sash weights; obsolete and hard-to-find replacement hardware for windows, doors, closet doors, patio doors, weights and pulleys and more. 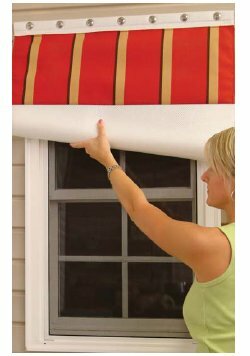 Parts include balance systems, window operators, transom lifters, patio door handles, and sliding window hardware. Custom manufacturing and screens also available. Hurd is a major national manufacturer of wood and aluminum-clad wood windows and exterior doors. It offers a full line of both doors and windows - with a plethora of styles and sizes. The company's website explains available options, sizes, hardware and the like. Maker and seller of modular gazebos, garden houses, Victorian pavilions and porch systems designed for simple, one-day assembly. The company also sells shutters and assorted shutter hardware. Maker and seller of custom and stock iron doors, hand rails, driveway gates and wine cellar doors. With eight showrooms around the U.S., the company says it maintains more than $3 million worth of doors in stock. The company's website includes detailed information on its many products. Based in coastal Maine, this company bills itself as offering "a revolving museum of architectural salvage including paneling, moldings, fireplace mantles, antique doors and antique windows, cabinets, wainscoting, antique plumbing fixtures and architectural salvage lighting fixtures." Small Pennsylvania company salvages, restores and recycles antique lumber and building materials from log cabins and barns. Online retailer of decorative door hardware, cabinet and drawer pulls, cabinet hinges, door knobs, lighting fixtures, floor registers and switchplates. 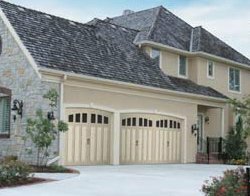 Vintage style garage doors are made of high-tech composite.